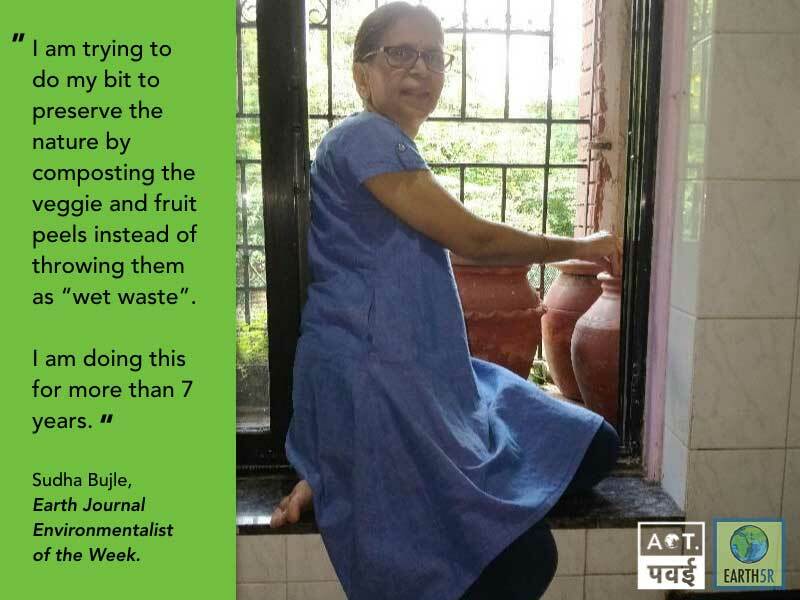 While most parts of the city are still struggling with waste management and composting, our Environmentalist of the Week Mrs. Sudha Bhujle has been beating the odds for 7 years now. 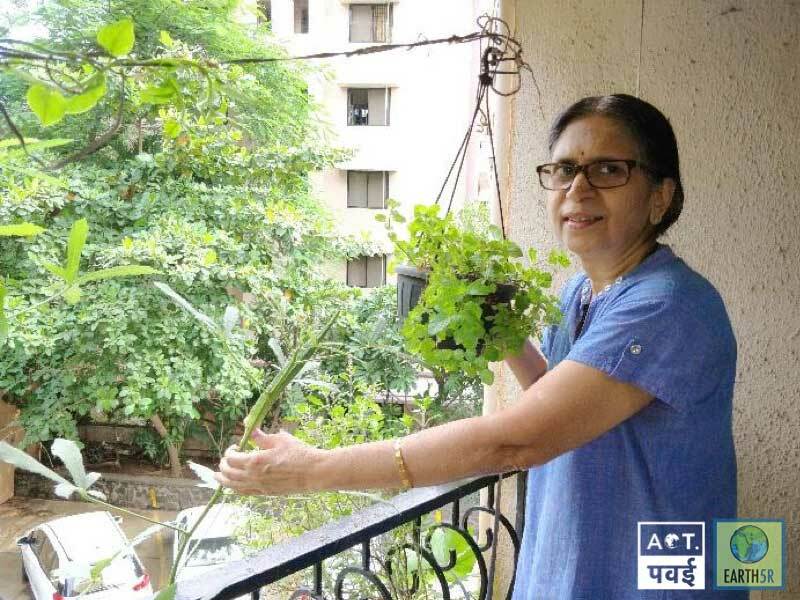 As someone who has always been passionate about nature, took up her hobby of gardening, in her apartment in Mumbai, and has been practising the method of composting at home since 2011. She describes the method she follows in detail and urges readers to follow this simple process to grow vegetables and fruits at home. 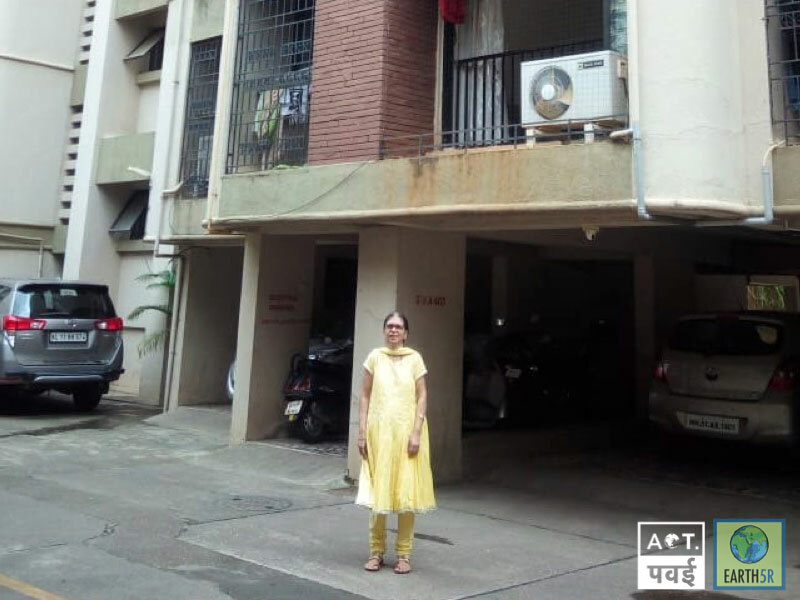 Mrs Sudha Bhujle is a resident of Sunglory, Raheja Vihar, Chandivali, Mumbai. 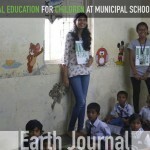 Here is her interview with Earth Journal maagzine. EJ- What things you do as your bit for the environment and what is your motivation for home gardening? Are you alone in this passion or your family or others support you in this passion? What are those vegetables which can be grown easily at home? SB- Mother nature has given us clean air to breathe and a variety of vegetation in the form of fruits and vegetables to eat. So-called most intelligent animals, we human beings, don’t respect her as much we should. We are on the verge of extinction if we don’t try to reverse back the situation. I am trying to do my bit to preserve the nature by composting the veggie and fruit peels instead of throwing them as “wet waste”. I am doing this for more than 7 years. I grow vegetables like tomatoes, ladies finger, pudina, collocasia, mulbar spinach (mayalu in local language). Most of the time I reuse water that is used for washing vegetables, to water my plants or wash the sink. Always I carried my own plastic or cloth bag to buy household items even when plastic carry bags were freely available. Last but not least, I always take care not to waste water and electricity. I am very passionate about nature. Gardening is my childhood hobby. I used to keep only flower pots at home. 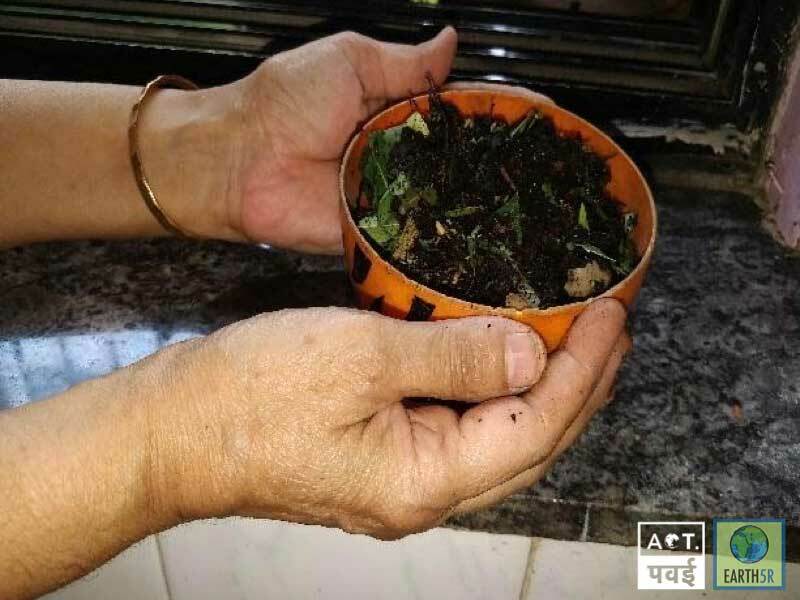 I visited one of my relatives in 2011, Feb. She had just started the composting process by using a bacterial method which could be easily done in Mumbai flats like ours. It required just 3 pots and a bio-culture mix. I immediately contacted the group that had taken an initiative to propagate this method of composting and got the process started. My family is a great support to me in this process. 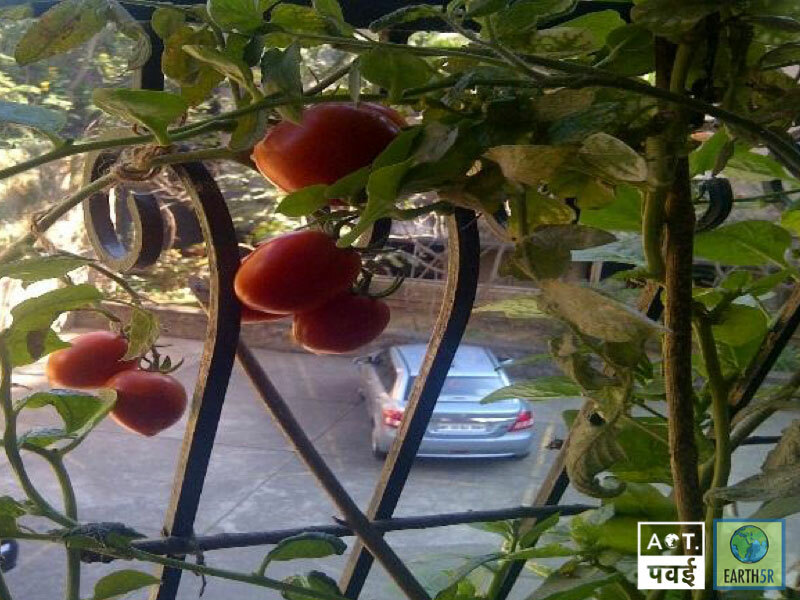 EJ- It’s not always easy to follow the path of natural gardening in an apartment, especially in a city like Mumbai. What challenges do you face in Mumbai’s climate and have you found a “solution” or a way to work around or with those challenges? Give our fellow citizens a few gardening tips. SB- In a city like Mumbai, where we live in apartments, getting sunlight is the main problem. Just providing manure and water to the plants is not enough. 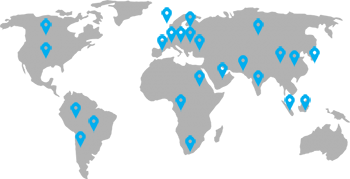 Luckily my flat is facing south-east direction. So I get very good sunlight most of the months. I tried veggies like tomato, ladies finger, bitter gourd fenugreek, mulabar spinach, yam, garlic, kashmiri chilies, capsicum, collocasia and sweet melon. It is easier to grow ladies finger and bitter gourd in summer because they need hot and humid climate and little amount of sunlight is enough. Tomatoes need lot of sunlight and preferably dry weather. So winter is the best period. Hence depending upon the amount of sunlight that I get, I grow the veggies. I found growing ladies finger and bitter gourd in summer and tomatoes in winter is easier. Collocasia, Pudina, Mulbar spinach are available throughout the year. Size of garlic bulb, yam is not big enough when you grow it in a pot. 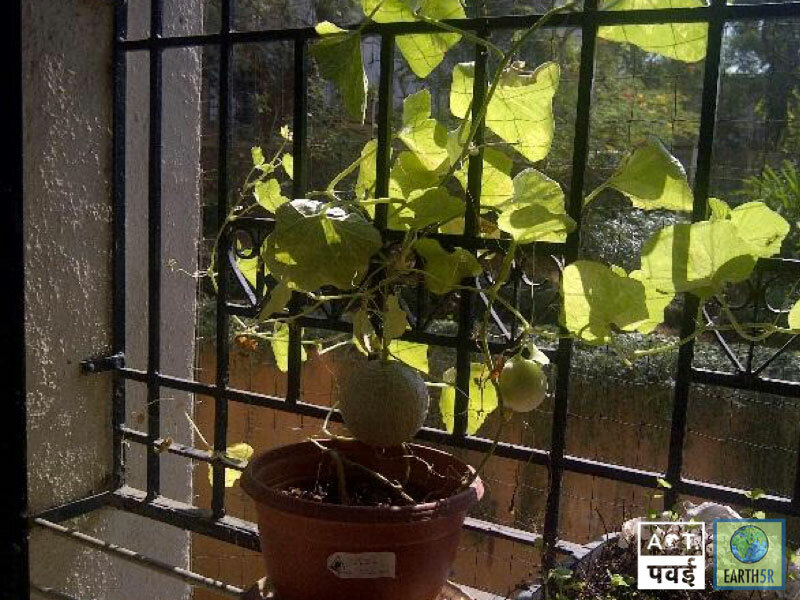 Growing sweet melon is not easy because of its aroma, it attracts lot of pests and the size of the fruit is quite small in a pot. Chillies need calcium-rich soil. Homemade compost is nitrogen rich. So when I grow chillies I have to use calcium compound spray during its flowering season. Not but not the least use of organic pesticide like neem spray to the plants is a must at regular intervals. Mumbai climate is suitable for growing tomato, ladies finger, any type of gourd, mulbar spinach. One has to study the amount of sunlight that the plantation area receives with changing seasons. EJ- How do you make compost at home? Do you grow edibles or flowers or both? 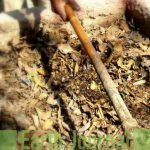 SB- It is quite easy to make compost at home. One needs 3 pots and a starter (bio culture mix). One has to cut veggies and fruit peels in to small pieces (please take care to drain out extra water from the peels like melons). Put them into the first pot. Add the starter, about a spoon. Mix it thoroughly. Next day add the cut peels to the second pot and repeat the process. The third day, the wet waste goes to the first pot and fourth day to the second pot and the process continues. Once a week, add neem powder to kill unwanted germs. After the pots become full, take out half the quantity from each of the pot and transfer it to the third pot. This pot is left untouched for about 4 weeks for the curing process. At the end of 4 weeks, you have your dry manure ready. You can sieve it and use the fine powder for pots and remaining chunks can be added to the next cycle to get a fine powder. 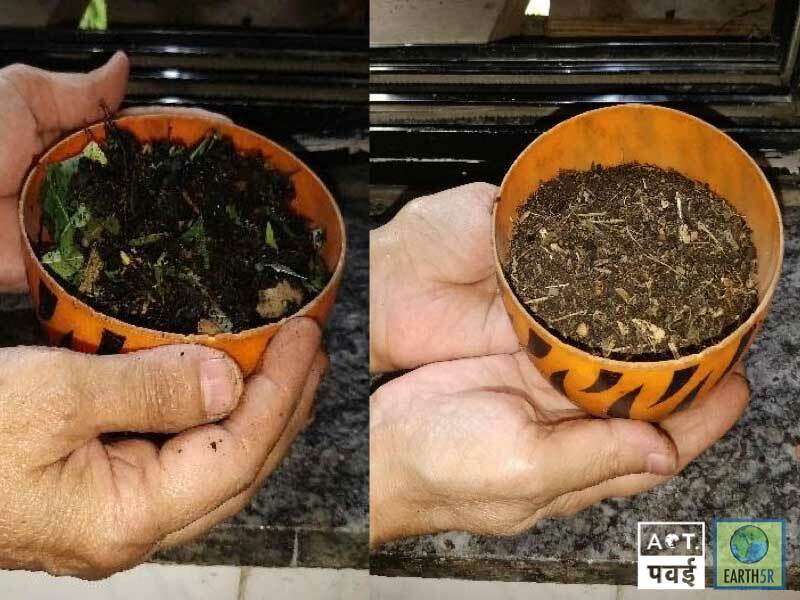 In the meanwhile continue the process of adding wet waste to pot number 1 and 2 and when they become full, add it to the third pot for curing. It is advisable not to add leftover cooked food to the composting pots because the cooked food rots faster and unwanted germs are created. These germs destroy the good bacteria and the whole compost start stinking. It is not at all difficult to make manure at home and grow the veggies. Growing fruits is a little difficult because they need bigger pots and space. The pleasure of eating homegrown food is tremendous. There is a way where there is will. Since India is located in the northern hemisphere, the flats facing north get a good amount of sunlight in summer. So residents of north facing flats can plan for summer crop that needs hot and humid climate. I get about 3 kilos of compost in a month. As explained above I like to grow edibles. I have flowering plants like sontakka (a type of lily) and portulaca. “Sontakkas” flower mainly in summer. The aroma of the flowers is “heavenly”, especially in the rainy season. EJ- Are you experimenting with something new this year? What has been your biggest learning experience in being a green citizen? What is your message for the fellow citizens of Powai? 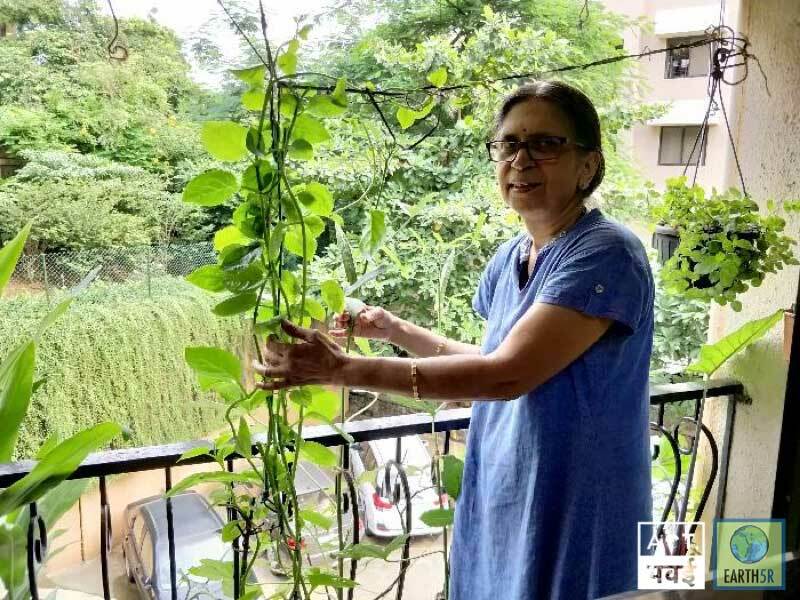 SB- I have already done enough experiments with the home gardening and it has become a routine for me to grow tomatoes in winter and ladies finger, bitter gourd in summer. During flowering or fruit-bearing stage of the plants, even if one flower wilts away without bearing fruit, I feel sad and that time I experience the pain of our farmers when their crop goes bad due to natural calamities. So, every one of us should grow something on their own and experience the pleasure of success and feel the pain of failure. Ultimately this will make us feel the effort of a farmer that goes into producing the food items that we buy in the market within a short duration of time. My earnest request to the fellow citizens is “Don’t waste food on the plate” that has come to this stage after going through a long process. EJ- What do you think about Project ACT Powai? 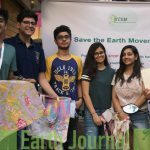 SB- It is a great initiative taken by a handful of Powai people. I regularly follow the activities of the group. I just hope other suburbs take lessons from our initiative and start the “movement” in their localities. Hats off to these “youngsters” who spend their “Chutti ka din” in cleaning Powai lake every weekend. Hoping more Powaites contribute to this genuine cause directly or indirectly. AN EXTRA BIT OF NATURE PLEASE? 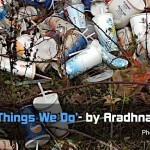 No Replies to "Sudha Bhujle- Environmentalist of the week"